There was something about the way they danced that spoke deep in my heart and called to me. Mixed with a talent they had honed was an expressiveness to their movement, an ability to tell a story with their movements that drew me in and made me want to understand and remember the story or the heart of their message. The first person who inspired that prayer was Cynthia Newland. 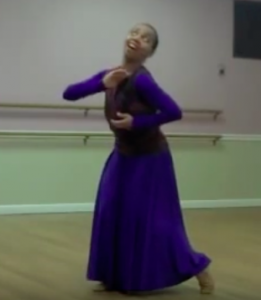 She was the first person I ever saw dance in worship. Currently, she is wrapping up her tenure as the Chair of the Dance Department at Belhaven College in Jacksonville, MS. By inviting me to dance with her over 25 years ago, she planted the seeds in me for ministering through dance. To see Cynthia dance, click on the image to the left. The second person is Jocelyn Richard, who leads Visual Praise Ministries and equips dancers all over the world to choreograph in such a way that it ministers. She became a friend and mentor to me who really activated me in ministry about five years ago, enabling me to hone my own talents and expand my reach in ministry. To see a powerful interpretive dance by Jocelyn click on the image on the left. God has allowed Marlita to become not just a mentor, but a friend and partner in ministry. I’m excited and honored to be hosting her as she teaches the first of a three part-workshops in Pasadena entitled, Unlocking Movement that Speaks. What is most exciting to me is that Marlita will be teaching how to choreograph like she does, how to dance in that way that is so expressive and original, so moving, to dance in a way that speaks. So, I want to invite you to join us, if you can. This workshop is really a foundational workshop. 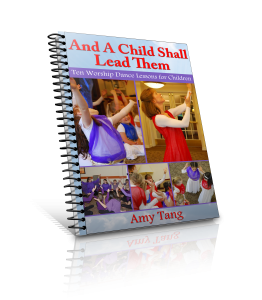 It won’t be a traditional dance workshop in which we learn a routine. Rather, Marlita will teach how to listen to God, how to learn to receive a message from the Living Word and to translate it into movements that make that message come alive. These tools will help us go back to our own prayer closets or studios, to add the unique expressions God has placed in each of us, and to bring a word through movement that captivates those watching so that they can hear and receive a message from the Lord. By registering for this first workshop online, Unlocking the Text, you’ll save on registration costs. To learn more, click here: Learn more. Please join the discussion. I’d love to hear from you in the comments. How did these dances impact you? Who are the dancers that you have watched and said, “I want to dance like her/him? What is it about them that draws you to them? What do you think you need to learn to make your dances even more impactful? I have seen the 2nd and 3rd videos prior. The first was new to me. It’s beautiful!